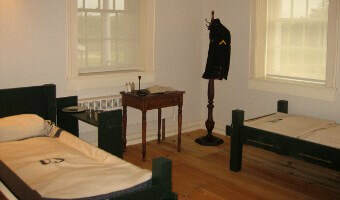 The Fort Crawford Museum encompasses three buildings of exhibits on local and medical history, and won the 2013 Museum Exhibit Award from the Wisconsin Historical Society for a new exhibit on the Swift U.S. Army Hospital and the Civil War. Regular tours are self-guided, with information available in the visitor center. An antique pharmacy and dentist office. ​The Visitor Center includes the ticket office, visitor information, and a museum store, which carries a wide variety of gifts and books on local history. The Visitor Center also contains a library with books on local history, school annuals and medical history.